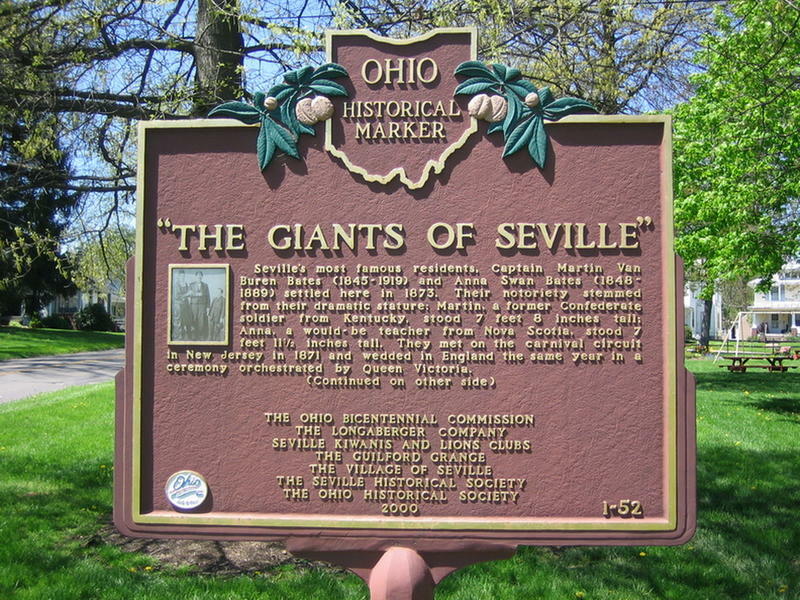 Seville, Ohio is a little town that sits about 44 miles South of Cleveland, with an estimated population for 2018 of only 2,411. A man by the name of Martin van Buren Bates settled there with his wife in 1873 and put Seville, Ohio on the map, so to speak. 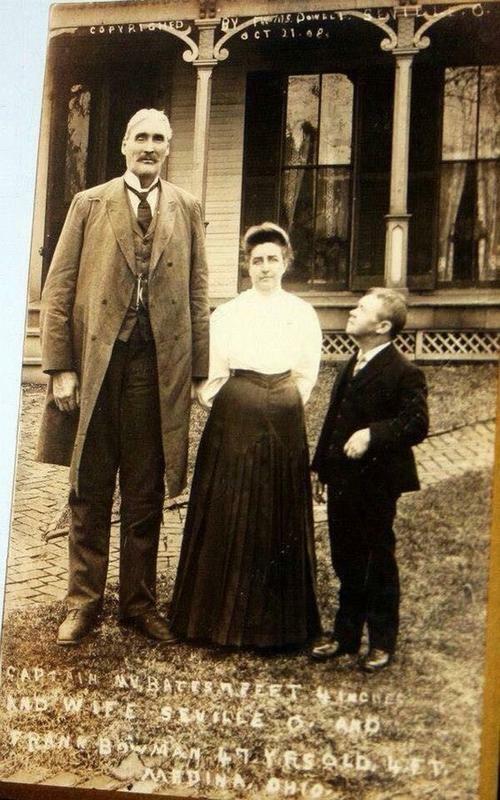 He was born in Kentucky to the Bates family who were all of average human height. He was the youngest in the family with six brothers and five sisters. Martin was a normal size at his birth on November 9, 1837. However, it was during the span of seven years from when he was about seven years old, that he started developing and growing more rapidly compared to other children his age. He grew to be over six feet tall and weighing almost 300 pounds by the time he was twelve or thirteen years old. 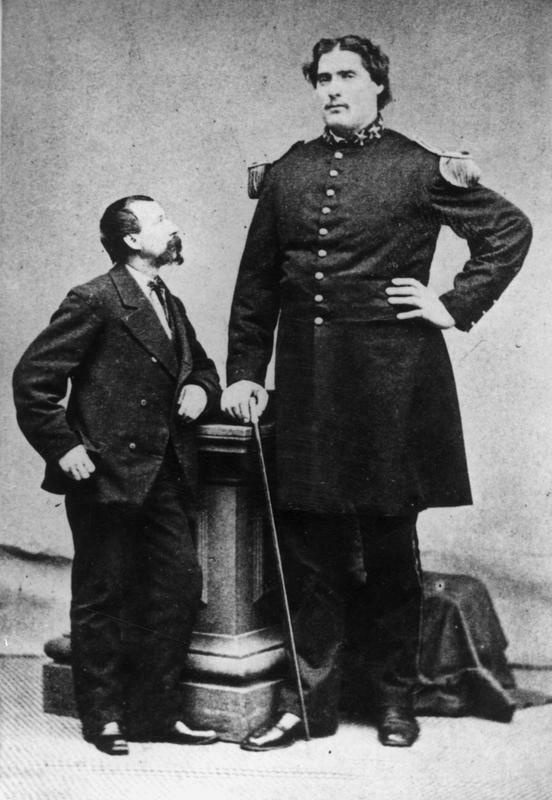 Martin became known as the “Kentucky Giant”. In the real sense of the word, he was a perfectly formed giant. 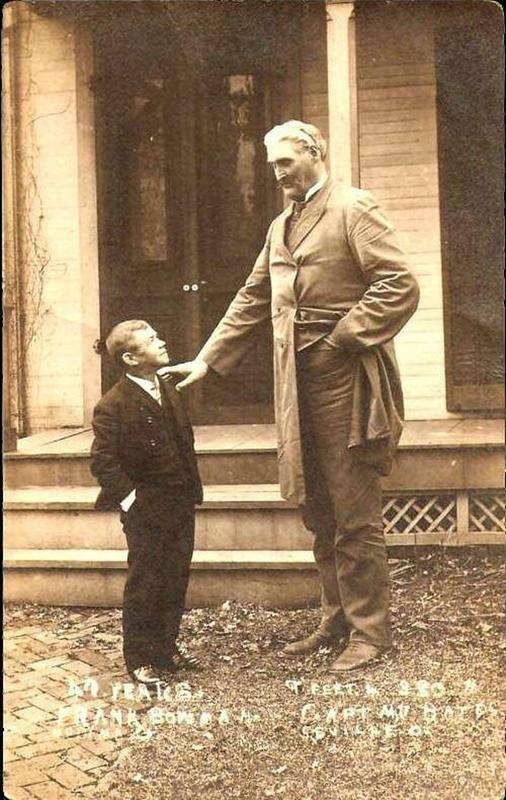 Martin kept growing until he was 28 years old reaching the tallest recorded height of 7 feet, 9 inches and weighing a total of 470 pounds. The Guinness Book of World Records and Wikipedia’s List of Tallest People among list him as being 7 feet 9 inches tall and weighing around 470 pounds. After his studies at Emma-Henry College in Virginia, he became a schoolteacher, but decided to leave teaching when the Civil War started and joined the Confederate Army as a private in the Fifth Kentucky Infantry in September 1861. Due to his stealth stature and ferocious nature in battle, it didn’t take him long to rise to the rank of Captain. His imposing figure made him famous with the Union soldiers who’d spread stories describing him as the "Confederate giant who's as big as five men and fights like fifty". He was severely wounded in a battle around the Cumberland Gap area and also captured, although he later escaped. He later joined P.T. Barnum circus. Of course, considering he was this perfectly well-formed giant, he was a great addition. The circus traveled far and wide and while on tour in Halifax, Canada, he met his soon-to-be bride. Her name was Anna Haining Swann and was born in Nova Scotia in 1848. Her career was well established working for P.T. Barnum by 1870. She was not interested in Barnum's "traveling" shows. Rather, she hosted teas at the Barnum Museum or in "prominent" homes of those well-known in society. 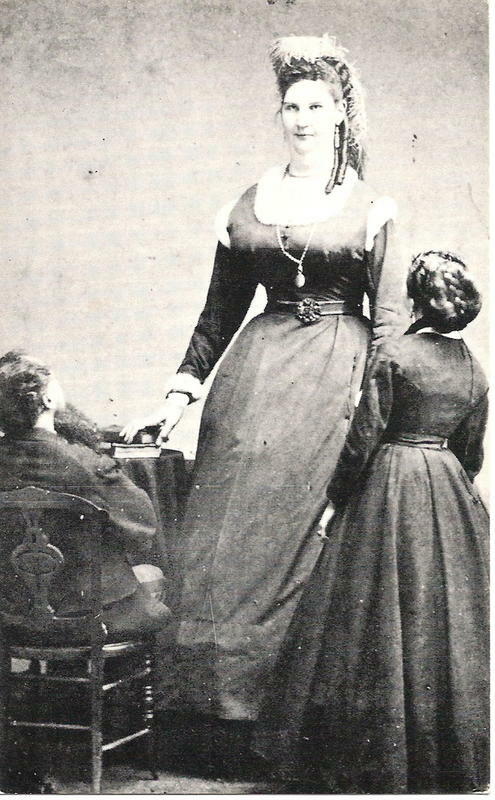 By the time Anna turned 22, she stood 7 feet, 11 inches and weighed 413 pounds. Martin and Anna later got married in at St. Martin-in-the-Fields in London on June 17th, 1871 during a tour of the circus. The town was humming with advertising, and thousands of people, drawn by the couples’ captivating good nature did everything they could to attend the marriage ceremony of a most unusual couple. It’s been said that even Queen Victoria herself gave them two extra-large diamond-studded gold watches as wedding presents no doubt to accommodate their extra-large wrists. 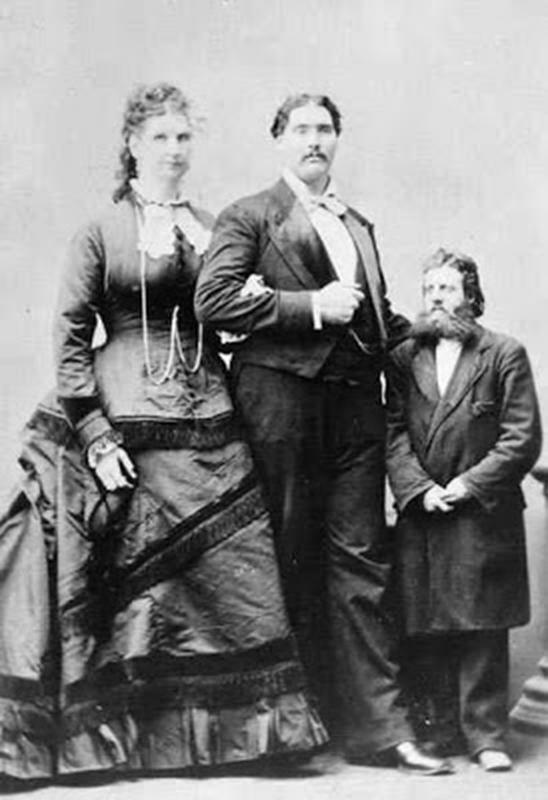 She and Martin worked in the circus as the tallest married couple. The couple returned to Kentucky but found it to be still caught up in the fight between the North and the South. He decided to sell his property explaining, "I've seen enough bloodshed; I didn't want any more." Martin and his wife returned to Ohio in 1872 and settled down in Seville. "While in Ohio, I purchased a farm in Seville, Medina County. It consisted of 130 acres of good land. I built a house upon it designed especially for our comfort. The ceilings have a height of fourteen feet, the doors are eight and one-half feet in height. The furniture was all built to order and to see our guests make use of it recalls most forcibly the good Dean Swift's traveler in the land of Brobdingnag." "My rest was not to last long, for yielding to the solicitations of managers, I consented to again travel. The seasons of 1878, 1879 and 1880 found us leading attractions of the W.W. Cole circus. "While we have during these years been blessed with many things, affliction again visited us in the loss of a boy, born on the 19th day of January, 1879. He was 28 inches tall, weighed twenty-two pounds and was perfect in every respect. He looked at birth like an ordinary child of six months. With this exception our lot has been one of almost uninterrupted joy." Anna Bates died unexpectedly in her sleep at her home on August 5, 1888, just before her 42nd birthday. It was about a decade later that Captain Bates was to be married again. This time to Lavonne Weatherby, the daughter of the pastor of the Seville Baptist Church. The new Mrs. Bates was of normal height and stood just over five feet tall. However, the gentle giant, Captain Martin Bates, finally succumbed to a lingering illness on January 7, 1919 at the age of 81. The Bates’s and their son are buried in Mound Hill Cemetery in Seville, Ohio.